Arrow will be back with Season 4 this fall on The CW network, but there is very little we know about what will happen this season. During an appearance at Amazing Las Vegas Comic Con over the weekend, John Barrowman, who plays Malcolm Merlyn, revealed to the audience that he has finalized his deal for Season 4, while confirming that shooting begins in July, while teasing a tiny amount of information about the plot. According to ComicBook.com, here's what he had to say. "We start filming in July, Season 4 -- I just finalized my deal about a week ago. I'm very excited about going back, I can't tell you anything because I do know a bit about what's going to happen. But if you love Malcolm Merlyn, if you love Oliver Queen, if you love Thea Queen, if you love the Canary sisters, and I say that with a bit of a twist and a joke in it, you're going to love what's going to happen across the DC world." 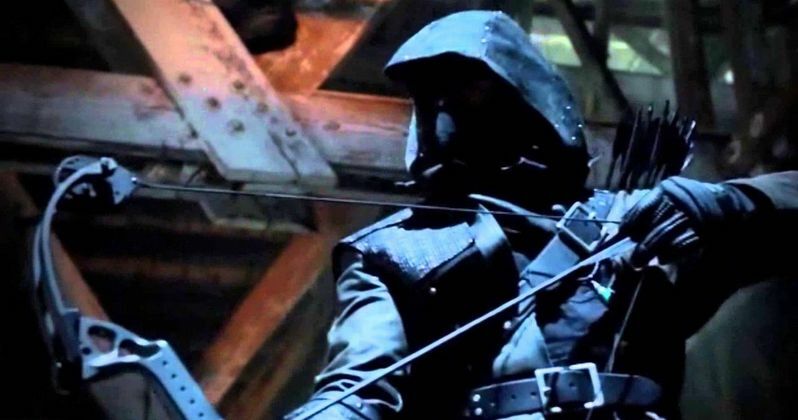 While there isn't much we know about the upcoming season, a report from May revealed that Diggle (David Ramsey) will become a masked vigilante, while Stephen Amell teased that the season premiere will have something to do with Thea Queen's new superhero persona known as Speedy. As for John Barrowman's Malcolm Merlyn, it surely makes sense that he is coming back, since he took over as the new Ra's al Ghul in the Season 3 finale. Are you glad that John Barrowman will be back? Chime in with your thoughts, and take a look at the actor's appearance at Amazing Las Vegas Comic Con Below.